What Are the Zoho Mail POP3 Settings? Web-based email has its advantages. It's definitely more portable. But if have several webmail accounts, you might want to access them all from a single place. If you do, there are some settings that are essential to know. 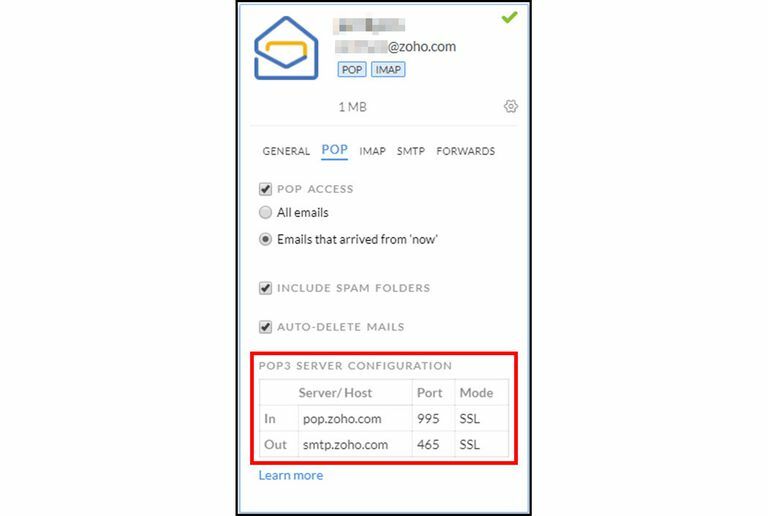 If you're looking for the Zoho Mail POP3 server settings for accessing incoming messages in any email program, look no further. All the settings you need are below. To send mail through Zoho Mail from any email program, see the Zoho Mail SMTP server settings. As smart alternatives to POP access, you can also access Zoho mail using IMAP or Exchange ActiveSync.